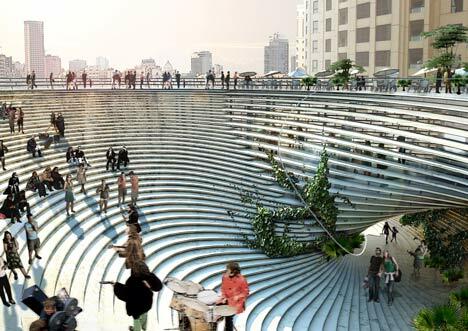 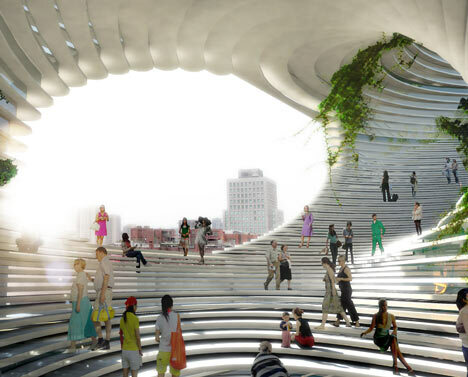 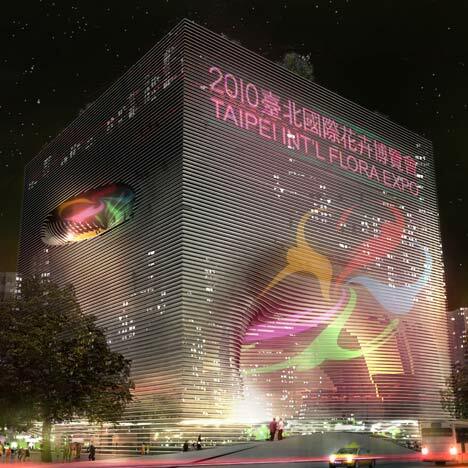 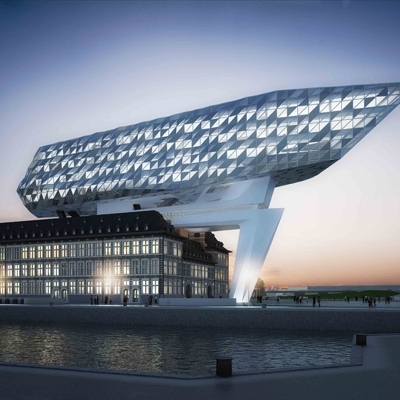 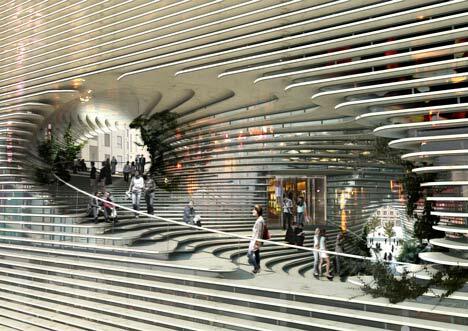 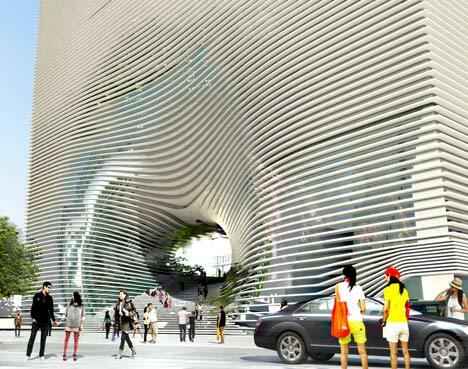 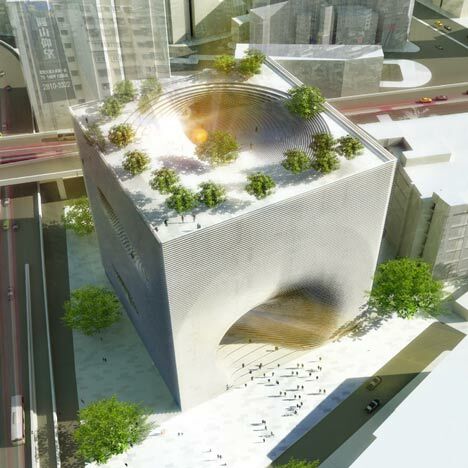 Danish firm Bjarke Ingels Group (BIG) designed a technology center for Taipei, Taiwan. 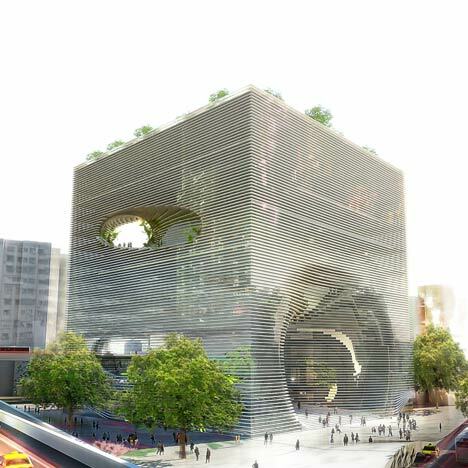 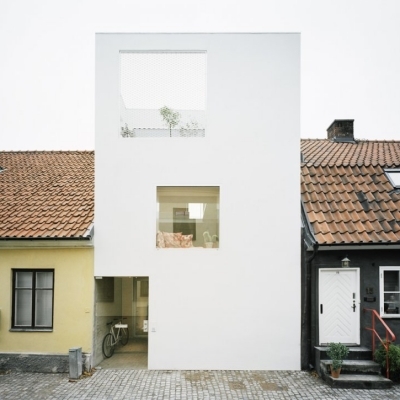 The building is made up of a cube structure with organic voids cut out from its center. 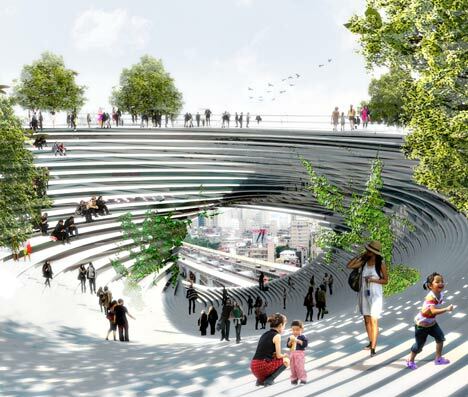 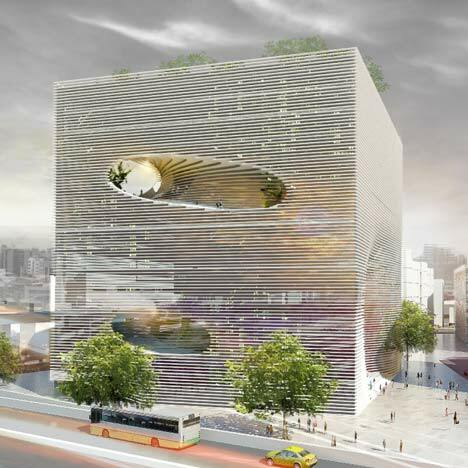 Called TEK (Technology, Entertainment & Knowledge Centre), holes in the structure will create a spiral within the volume, forming access routes from street level into the building and up to its roof.